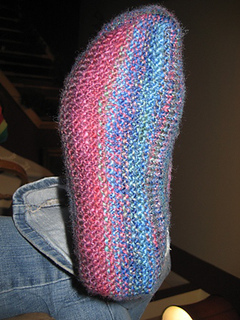 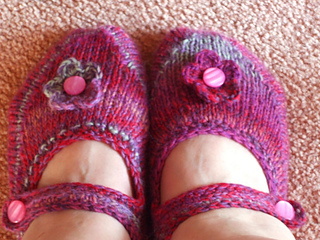 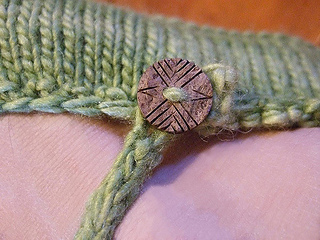 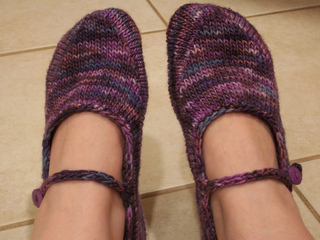 In this pattern you will learn how to knit a sophisticated seamless mary jane style slipper in three sizes. 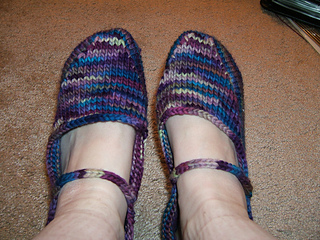 The pattern includes clear instructions and now includes illustrations! 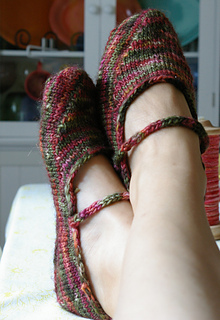 Save money and knit yourself something luxurious with only one skein of Manos Silk Blend. 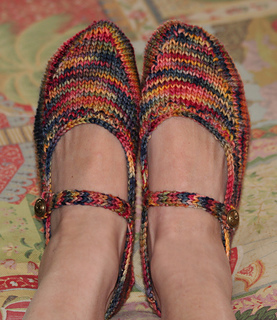 Offered in sizes Small: 8.75” (US size 5), Medium: 9.25” (US size 7), and Large: 10.25” (US size 9). 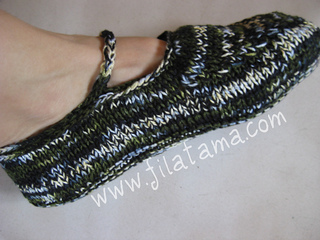 Description A sophisticated seamless mary jane style slipper. 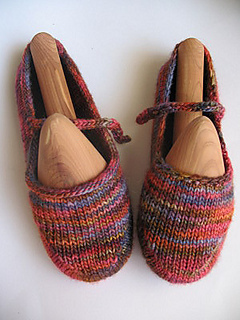 Yarn Manos del Uruguay Silk Blend 30% Silk, 70% Extrafine Merino Wool; 150 yards/135 meters per 50g skein Color: Autumn (3106); 1 skein.